Researchers from Kent Business School at the University set out to examine to what extent the rising demand for solar panels as part of a push to use renewable energy sources is responsible for the rising cost of silver. Silver is a core element for the manufacture of solar panels, as it has the highest electrical and thermal conductivity of all metals. As such it is heavily used in solar panels, with around 20g per panel which equates to around 6.1% of the total cost of the price of building each unit. In their analysis the researchers used data from quarterly silver prices measured from the London Bullion Market, installed solar energy capacity and solar gross electricity production between 1990 and 2016 to map correlations in demand and costs. The data clearly showed a rise in silver price at the same time as increased demand for solar panels, such as after the 2008 global recession indicating the causal relationship between these two variables. Similarly, prices rose after 2011 when there was worldwide concern oil prices were becoming too high leading to a move towards renewable energy sources. The researchers added that if prices continue to rise it could make solar panels production and subsequent sales costs much higher. This could require intervention from governments such as with energy credits or sales tax waivers to make them more cost-effective to encourage a transition to more renewable energy resources. 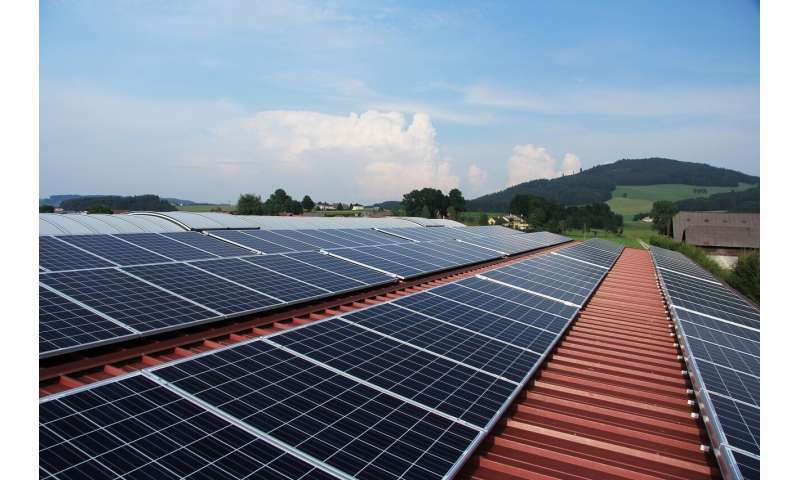 Conversely it may lead to a spur in the development of solar panels that use materials instead of silver However, breakthroughs required to use alternative materials, such as aluminium or copper, are not expected to occur for some time and currently remain far below the quality of silver. Lead author on the research Ph.D. candidate Iraklis Apergis said: "The research shows that silver price rises are directly linked to the increase demand for solar panels. This will likely have major implications for the longer-term use of solar panels and may require new alternative technologies to ensure solar panel production is cost-effective, or government subsidies." The paper, Silver prices and solar energy production has been published the journal Environmental Science and Pollution Research.